It is the end of the road for a teacher and trader who lured some secondary school girls to a guest house for s*x. A secondary school teacher and a trader who lured some secondary school girls to a guest house for s*x have been arrested in Migori County area of Tanzania, according to a report by Nairobi News. Police picked up the two on Tuesday morning from the guest house at the Nyabohanse trading centre in Kuria West sub-county, acting on a tip-off from members of the public. 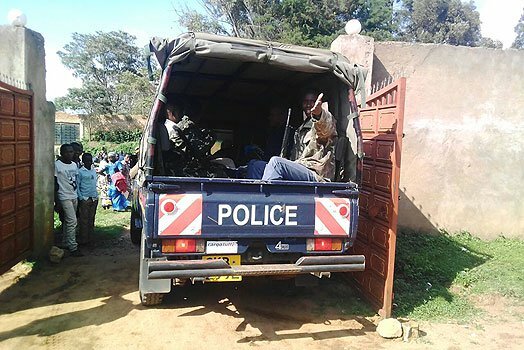 The duo had walked into the guest house in the company of the Tanzanian girls aged 15 and 16, some 40 minutes before police officers swung into action. The suspects were taken to the Isebania police station cells where they were locked up for interrogation. 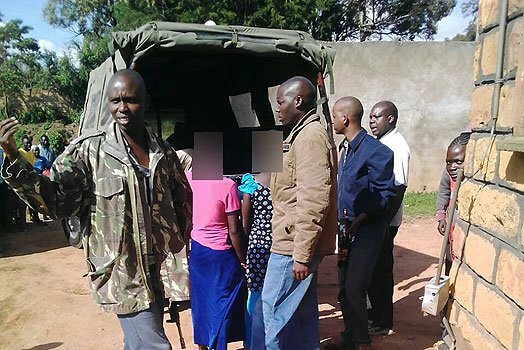 Kuria West police boss Mr Benson Kyalo said the girls were taken for examination and the medical report will be used by the prosecution team in the case. “They are going to face relevant charges in court…adults must respect the rights of children,” he said. The incident attracted a crowd of on-lookers as the duo and their victims were being bundled into a police vehicle. The girls said the they came from Tarime District and that they had already been defiled when the police arrived. “The police officers found us relaxing over Guinness and soft drinks the men had bought us,” one of the girls said.